MAIDENHEAD, BERKSHIRE, UK, April 11, 2019 /EINPresswire.com/ -- Sword GRC, a supplier of specialist governance, risk and compliance solutions, has announced John Nichol as the keynote speaker for its UK Sword GRC Global Conference, being held on 17th October 2019, at The Dorchester Hotel, London. 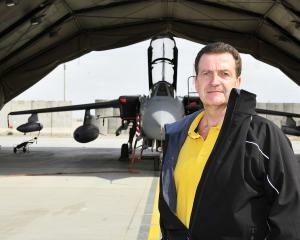 John Nichol, retired Royal Air Force navigator, TV presenter and best-selling author of ‘Tornado Down’, will share his personal career experiences, including his capture in the Gulf War and present his insights on modern day risk in everyday life. The first conference in the Sword GRC series is being held in Washington DC on 24th & 25th September 2019 in the Hyatt Regency Reston. The third and final conference date is 12th November at The Grand Hyatt, Melbourne. Delegates at each of the events will also have the opportunity to attend workshops and network with industry peers. The US and Australian Conferences have prestigious notable speakers heading their agendas. Lynn Brewer, Enron Whistleblower and Founder of The Integrity Institute® and The Integrity Index - a revolutionary new corporate rating system - will be speaking at the US Conference, while the Australian event will host prize winning author, comedian and artist, Anh Do.